Lots of spellers write on the back of their hands with their fingers or flip up their placard to trace the letters of their spelling words. 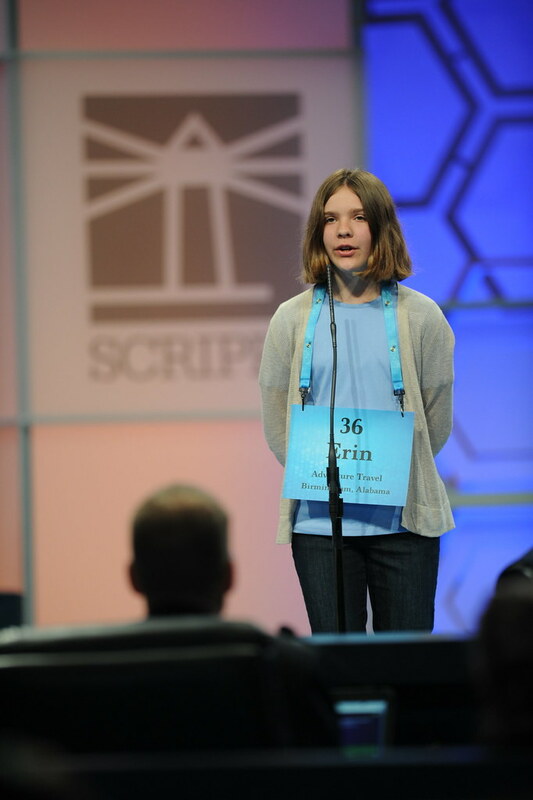 Erin Howard, speller 36, does something a little different: she air-types. Erin correctly spelled arraign, which means to call (a prisoner) to the bar of a court to answer to the charge of an indictment.